A home is an ideal place for relaxation hence, it is only fitting that we build our homes in a way that it would provide utmost comfort. This is also true for the outdoor area where we spend most of our time bonding with family members and friends. However, you can only experience the relaxing benefits of the outdoors if it is properly maintained. Even if you have a small lawn, regular landscape maintenance is a must. Spring is the ideal time in preparing your lawn for another season of lush beauty. Not every garden can survive the winter months, and even if you have the so-called green thumb, you still need to employ the services of a landscape maintenance contractor during this season. Although it may not be an affordable way of rehabilitating your garden, it would still be an excellent choice for you if you do not have enough time to maintain your outdoor area. Homeowners are not the only ones interested in landscape maintenance. Business people are also eager to have a well-maintained landscape because it can portray the good image of the company. And the best way of impressing potential and current clients is to hire a reputable landscape maintenance company. Regular landscape maintenance is very important for both residential and commercial landscapes. Finding the right company may not be easy. There are only a few who can help in providing all your landscaping needs such as effective maintenance solutions that would transform your outdoor area into a wonderful paradise. A reliable landscape maintenance company should not only focus on the aesthetics of the landscape but must give an equal importance to its functionality. They should know that the outdoors is also a place for gatherings and other family activities. Every element in the landscape should function perfectly. The patio and outdoor kitchen are only some of the areas in the landscape that should be in perfect condition. Look for landscape contractors who can also perform repair and maintenance on a regular basis. This will be very helpful on your part since you don't have to personally do all the work in sustaining the beauty of your garden. If you want an assurance that all of these things can be performed at a timely and efficient manner, call us. 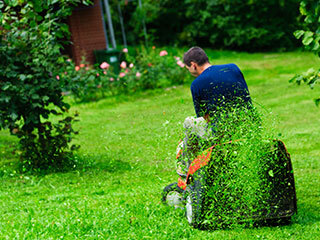 Seasons Unlimited Inc. employs a team of trained personnel who can perform any landscape maintenance job. Sometimes, hiring the services of a landscape maintenance company is an expensive decision for some homeowners. But North Carolina clients will not experience this. Seasons Unlimited Inc. will provide you with cost effective solutions. Our company can handle all the necessary jobs required in landscape maintenance such as mowing, trimming, paver cleaning, and irrigation and drainage repairs. We can also ensure the health of your flowering plants and topiaries by applying fertilizers on a regular basis. 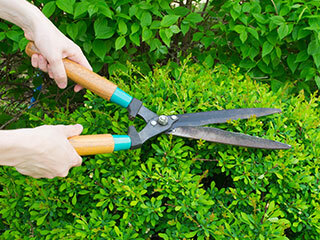 Weed and pest control can also be included in our landscape maintenance services. Mulch delivery and application is also part of our regular landscape maintenance. With these services, you are assured of complete satisfaction as we transform your landscape back to its pristine condition.